Now that the dust has settled and the legs ache a little less it’s time to reflect on what was a great weekend for the adventure group in Dingle. First of all we have to give credit to Noel O’Leary and the entire race organisation team. This was an exceptionally well run race and it really allowed everyone to get the maximum out of their day. From our group it was fantastic performances all round on the day. First over the line was Stephen Geraghty with a time of 3h 3mins and 13th place overall. An incredible result from an athlete that is getting better and better as the weeks go by. Stephen posted the 8th fastest bike leg of the day and was 8th fastest down off Mount Brandon. More to come from this guy and already some of the regular podium and top 10 finishers are looking over their shoulder for him. Second over the line was Paul Tierney with a time of 3h 10mins and 19th place overall. 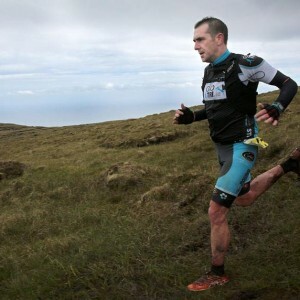 It was a good result on the fight back to fitness for Paul, better than expected after he lost ground on the bike climb up the Conor Pass and on the ascent of Mount Brandon leaving him in the mid-thirties overall. 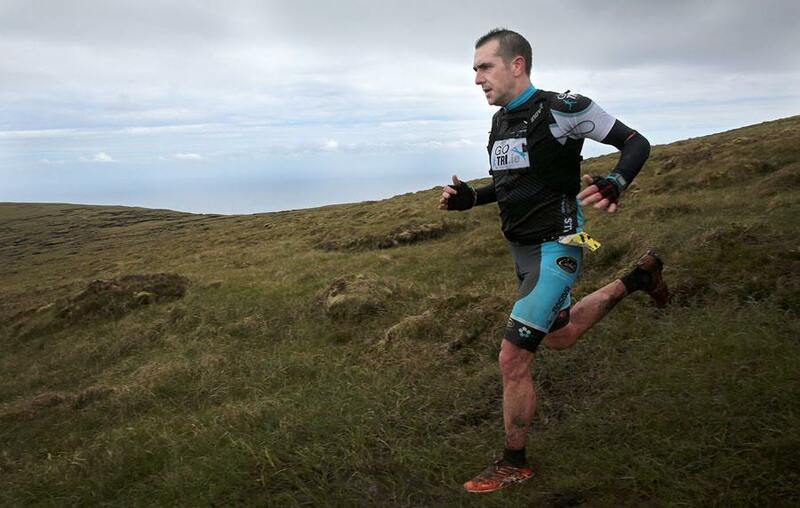 A fast descent from Mount Brandon, albeit not as fast as he would have liked where he likes to aim for the top in that discipline, he still descended 3rd fastest overall, and a solid road run back to Dingle allowed him to claw his way back into the top 20. The work will continue for Paul to improve on the areas where he lost ground and hopefully continue to climb back up the rankings. Third to cross was Peter Power after 3h 24 mins and in 38th place. In his first ever full adventure race this was a phenomenal result. This guy can float up hills and with more experience and training he’ll be challenging Stephen and Paul. Next was the pink powered pedaller himself – Niall O’Grady. After a great adventure racing debut in Killarney last year he again stepped over to the dark side and finished with a very respectable time of 3h 39mins. We reckon he’s lost to cycling now, we have him J. Friend of the club Kevin Stritch was next to cross with a time of 3h 42mins, Kevin is a good athlete with all the basic building blocks for being a strong adventure racer. Hopefully we can see him make some of our sessions and knock some minutes off his times! For anyone that knows the next group member that crossed the line they would have had to do a double take. Loren Harnett came charging over the line like a train and just missed out on coming inside the 4 hour mark. The man that was happy to finish was gone and this new guy was there to compete. I think what we witnessed was the birth of a racer, a switch was flicked and it was an incredible result for Loren and we couldn’t be happier to see him starting to reap the rewards for the effort that he has been putting in. Loren is the kind of guy that adds hugely to any group with an amazing team spirit and supportive nature and we look forward to sharing his other successes this season. Next home was Paula Cahill, when she’s not decapitating swimmers with her kayak she likes to knock 45 minute chunks off her race times!! A great result of 4hrs 36mins for Paula saw her improve hugely on last years performance and there’s plenty more to come for Paula. Finally we had another tough cookie, Mr. Dean Rudd, finishing with a very respectable time of 4hrs 50mins despite a less than ideal few weeks of preparation in the lead up to the event. Dean still finished strong and once he’s back into his regular training routine his good work at the weekend will stand to him and he’ll build towards even better results as the season progresses. Outside of the main race we also had Jim Connolly competing in the shorter Sport race, Jim finished a very respectable 28th place in a time of 2 hours 12 mins and, in particular, posted some very impressive run times including 2nd best time on the final run.